A launch weekend for the Train from Spain will be held at the early May Bank holiday from Saturday 5 May to Monday 7 May. The Train from Spain will be named as 'Whillan Beck' at 12 noon on Saturday 5 May. 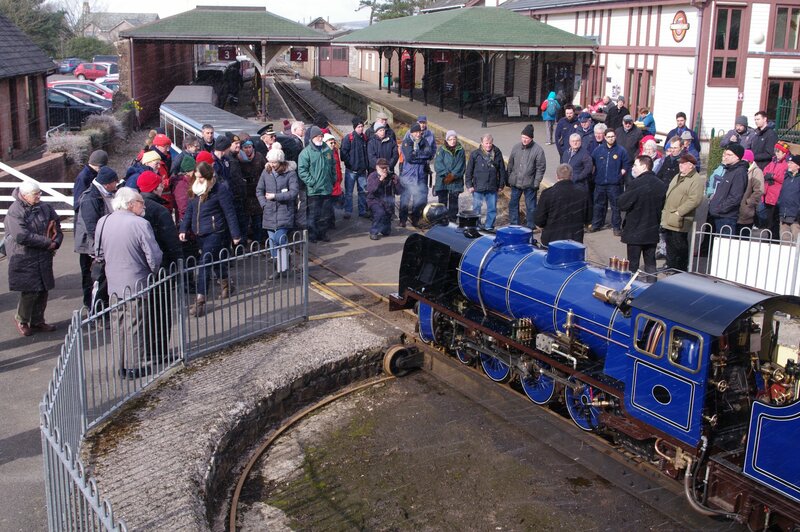 There will be a train for invited guests at 1.10, then a public train at 3.10. In the evening it is planned to hold a photo-shoot around the engine shed. On Sunday 6 May, it is planned to run an early morning photographic charter with Whillan Beck and then for trains to be double-headed during the day. In the evening, a special train will be run to Dalegarth for an auction of Ratty memorabilia in aid of Whillan Beck fundraising. The auction will include one of the cast nameplates for Whillan Beck. We are inviting sealed bids for this unique item from members unable to attend the auction in person. Please send sealed bids to the Secretary (contact details on page 2) to arrive by Friday 4 May.